As a commercial business owner, you’re committed to the upkeep and maintenance of your building and building systems. You schedule yearly HVAC inspections, keep a close watch on energy use, take out any necessary insurance policies, and fix any problems as soon as they arise. Once problems have been identified, though, it’s up to you to locate and employ a conscientious contractor to address problems quickly and effectively. With so many options to choose from, you can quickly feel overwhelmed by the process of selecting a company or individual to service your building. This can be especially true when it comes to commercial roofing. A properly installed and maintained roof can save you thousands of dollars in energy savings and prevent major costs from water ingress and mold growth. You’re also concerned about the bottom line. In an effort to save money, some folks hire contractors or professionals who may not be fully qualified for the task they’re about to complete. Roofing installation or replacement can be a huge investment. That’s why it’s essential that the company you work with is highly qualified to complete the job. When you’re interviewing potential partners, here are a few qualifications you should look for. In terms of safety in building and construction, roofing is one of the most dangerous. It’s a fact: roofers are more at risk for onsite injuries or fatalities than other construction workers. In fact, according to OSHA, 34 percent of construction-site fatalities were roofing-related. This means that you should contract with a company that ensures the safety of its workers through airtight safety protocols and insurance policies. Maxwell conducts a job hazard analysis for every project, taking time to identify potential dangers and formulate a plan for preventing falls or injuries. We also employ the most advanced safety equipment possible to make sure our workers and supervisors are fully protected. Don’t engage with a company that doesn’t take time to customize its safety approach to your construction site. It’s simply not worth the risk. In efforts to cut costs, some roofing companies are not licensed, bonded, and insured. You may be considering working with an unlicensed roofing contractor because you feel it can save you money on a large, expensive project. This is a choice which can come at a huge cost to you, the customer, in the long run. First, let’s run through the meaning of these three commonly-used terms. A licensed roofer has undergone training, testing, and the legal certification necessary to work in a particular state or region. This means they’ve also been trained to address specific issues that may arise in particular areas. They’re aware of all local, state, and national building codes and can make sure the work they do adheres to all building regulations. This eliminates the chances of you being fined for work that is not up to code. A bonded and insured roofer has a full-coverage insurance policy that protects workers in the case of injury. With an insured and bonded contractor, you can’t be held liable for any injury that occurs on your property. For all these reasons, these three words are non-negotiable when it comes to selecting your roofing partner. When you’re looking to engage with a roofing contractor, you want to establish a relationship with a company you can trust. Look for a company that schedules yearly or bi-annual inspections to keep tabs on any necessary repairs from weather or exposure. You also want to work with a company that doesn’t suggest extraneous repairs. If an inspector finds an issue at every single checkup, it may be time to consider a new contractor. As in every relationship, the key factor is that you’re certain the professionals you’ve hired will bring a high level of efficacy to their work. With so much to manage in a commercial building, it’s important to have reliable, experienced partners to handle all aspects of building management. Since roofing can be one of the most expensive investments you make in a building, you must engage with someone you trust. Any company is only as good as the talent they hire. Maxwell Roofing & Sheet Metal, Inc. has established a reputation for excellence by consistently hiring experienced roofing professionals who are licensed, bonded, and ensured. We maintain a strong workforce by offering an outstanding benefits package. 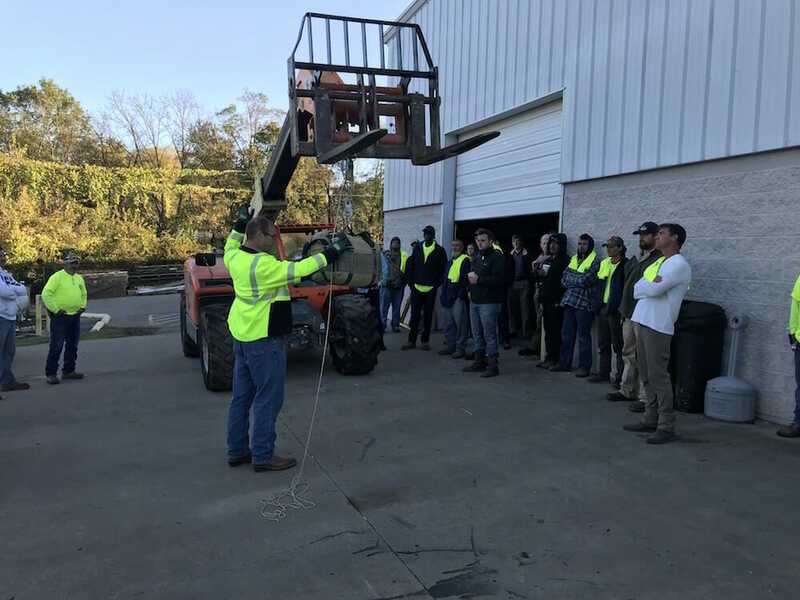 We know that if we treat our employees right, they’ll treat your roof right. If you’re a professional roofer or an experienced supervisor looking for a dedicated, caring company, we’d love to determine if you’re a fit. For more information on how we bring the best in roofing installation and maintenance to our clients, contact us today.